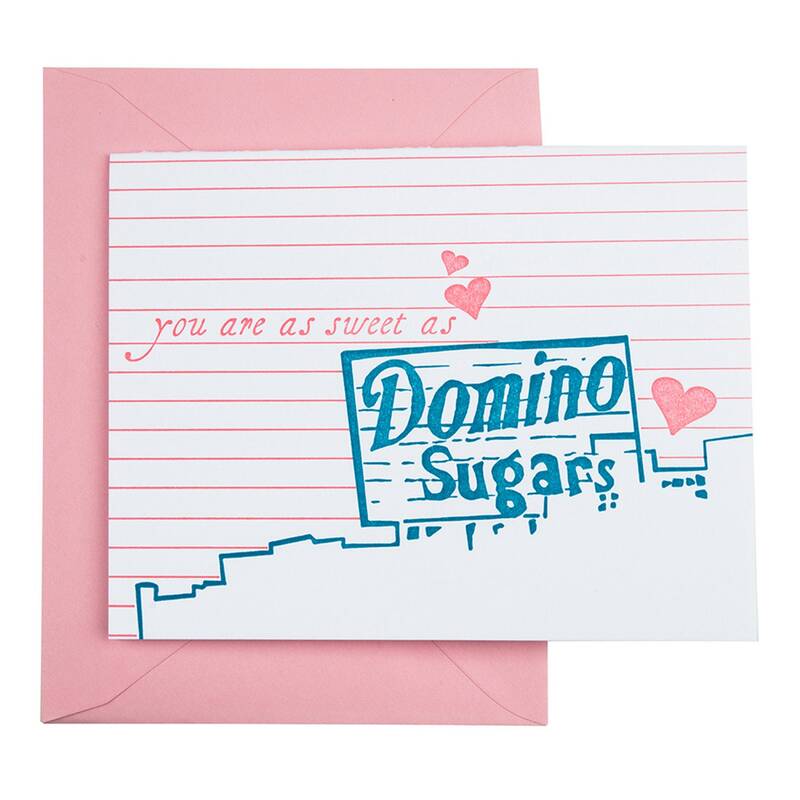 Make this Valentine's Day super sweet with a Domino Sugar sign card! This is a limited edition card, so buy yours before they sell-out. Perfect for your Baltimore native living afar or crush down the street in Canton. Baltimore is full of history, icons and stories. 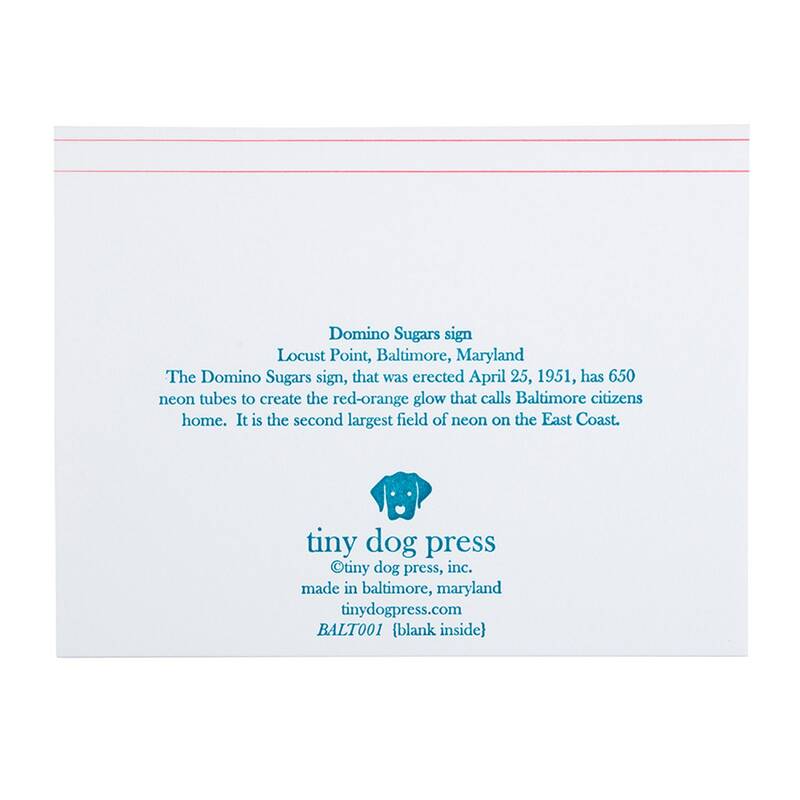 This 2 color letterpress card illustrates Domino Sugars sign in the Locust Point neighborhood of Baltimore. There is a thin strip pattern in the background with "you are as sweet as" type on the front with 3 pink hearts. On the back is a short blurb on the history of the sign.